Fuel Cryptocurrency Coin Review | Is Etherparty Worth Investing In? So what is Fuel cryptocurrency (Etherparty)? And should you invest in it? In this Etherparty coin review, I’ll analyse Fuel’s competition, team and it’s future projected growth. I’ll also run through which exchanges list the ERC20 token and how to store it securely. Read on or jump to the section you’re interested in. Note: I have no affiliation with Fuel cryptocurrency. Personally, I don't invest in them. This review has no affiliate links or ads within this guide. 1.1. What Is Fuel Cryptocurrency? 1.2. What Problem Does Fuel Solve? 1.3. What Are The Benefits of Fuel Cryptocurrency For Its Users? 2. What’s The Use Case Of Fuel? 3.1. Why Is A Coin's Team Important? 4. How Does Etherparty Work? 7. Is Fuel A Good Investment? 7.1. Why Is Fuel A Good Investment? 7.2. Why Is Fuel A Bad Investment? 7.3. Why Is Etherparty Dropping? 8. How To Buy Etherparty. 8.1. What Exchange Sells Fuel Tokens? 8.2. How To Store Etherparty. 9. FAQs About Fuel Cryptocurrency. 9.1. Can You Give Me Some Price Predictions For Fuel? 9.2. What Is The Price Of Fuel Cryptocurrency? 9.3. Where Can I Find The Latest Etherparty News? 9.4. Where Can I Find The Etherparty Whitepaper? You can find their whitepaper here. 9.5. Should I Invest In Etherparty? 9.6. Is Etherparty A Pump And Dump Coin? 9.7. What is Etherparty’s Coin Symbol? So what does the Etherparty token actually do? Their SaaS (software as a service) platform allows the average person to create their own smart contract on the blockchain. It’s designed to be a user-friendly way for someone to build a smart contract, without any technical skills. Note: Smart Contracts are basically a way of programming a transaction in the future. As you may already know, programming on the blockchain is a little technical. If you’re developing a Decentralized App via Ethereum for example, you need Solidity programming skills to create your own smart contract. 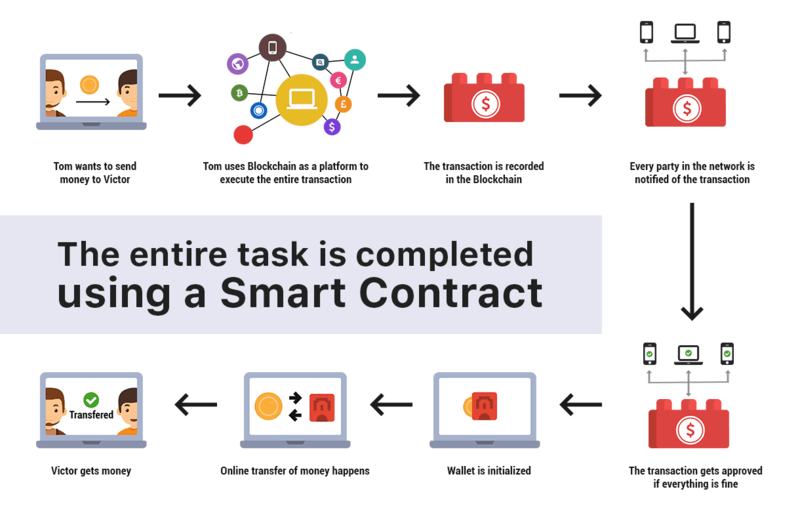 Even for experienced developers it’s time-consuming to create smart contracts. Essentially, there’s a lot of demand for the technology but the barriers are just too high for most people to take advantage of them. So if you’re an enterprise, consumer or individual looking to create your own smart contract, you have to go through an arduous development process that’s not even guaranteed to work. And that’s where Fuel cryptocurrency comes in. Fuel’s aim is to create a user-friendly technology for developing smart contracts that anyone can use. It’ll save people time, resources and avoid hiring an expensive specialist blockchain developer. Unlike most cryptocurrencies, the Etherparty platform is already in beta. I’ll run through the investment pros and cons of Fuel cryptocurrency in more depth later in this article. So Fuel cryptocurrency is focused on bringing smart contracts to the masses. Smart contracts set up an automatic form of exchange. So if certain conditions are met, then a transaction will occur. That’s the foundation of a smart contract. The potential of smart contracts for businesses is huge. But just like developing applications or even creating a website, most businesses don’t have the resources, time or expertise to spend hours coding a smart contract. Etherparty’s platform helps the average person build their own smart contract within just a few minutes. You get to skip the months of development, without worrying about the upfront costs and hiring process. 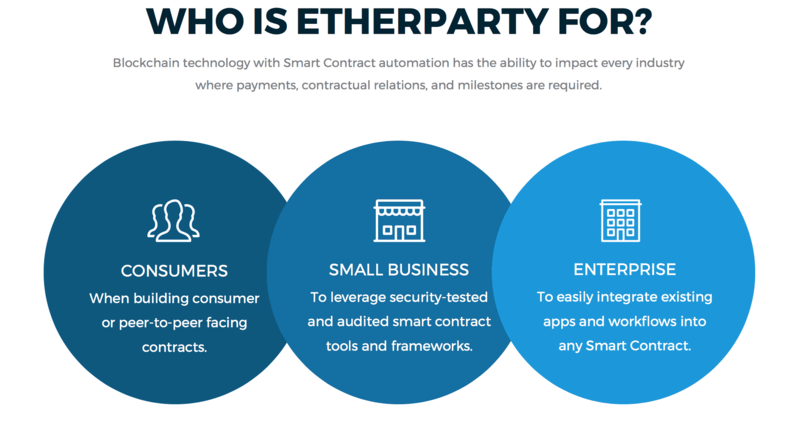 In the same way that applications like WordPress (which powers 30% of the internet) help ‘the average person’ build their own website, Etherparty is planning to solve the same problem for smart contracts. The long-term potential of a cryptocurrency is highly dependant on their team. Strong leaders can turn a promising token into a mainstream success. If they’re a real person. Seriously, pump and dump ICOs often fake their leader’s credentials. So now let’s analyse the Etherparty team. Etherparty was created by the Vanbex team. 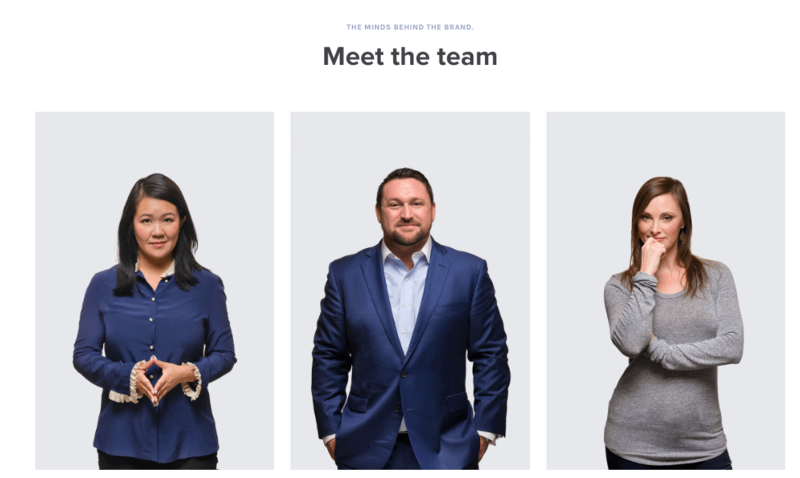 Vanbex is a blockchain consultancy, founded by their partners CEO Kevin Hobbs and Lisa Chang. Vanbex saw the demand - and the limitations - of creating smart contracts from their own clients. They already have over 4 years experience in the industry. In fact, they’ve already consulted with over 70 blockchain clients. So as well as Etherparty, Vanbex have also partnered on projects such as Storj, Factom and Enjin. Experience and expertise is going to be incredibly useful when running any blockchain project like this. For the cryptocurrency space, that’s about as experienced as you’re going to find. CEO Kevin Hobbs: Kevin doesn’t just run Vanbex - he’s also recognised as someone highly influential in the cryptocurrency space. CEO Lisa Chang: Lisa Chang also heads up the Fuel team. She’s worked with Fortune 500 companies and blockchain entrepreneurs in the past. So overall, Etherparty a fairly strong, well-rounded team. If you’re already investing in cryptocurrency, you know that market prices fluctuate constantly. So you may be wondering how can smart contracts be executed with Fuel tokens, when prices are so volatile? Each contract will be pegged to the value of the USD, reducing the problems associated with price fluctuations. RSK and Etherparty announced their partnership back in December 2017. RSK is a company from South America, that essentially creates a two peg mining system for Bitcoin. Their plan is to bring smart contracts to the Bitcoin network. With Etherparty being a smart contract focused business, this strategic partnership is designed to help speed up RSK’s mission. Currently, Etherparty’s staking is Proof of Work (see my guide to cryptocurrency mining) but because they’re an ERC20 token, they’ll eventually be moving to proof of stake. Fuel’s ICO was launched in October 2017, founded in Vancouver, Canada. 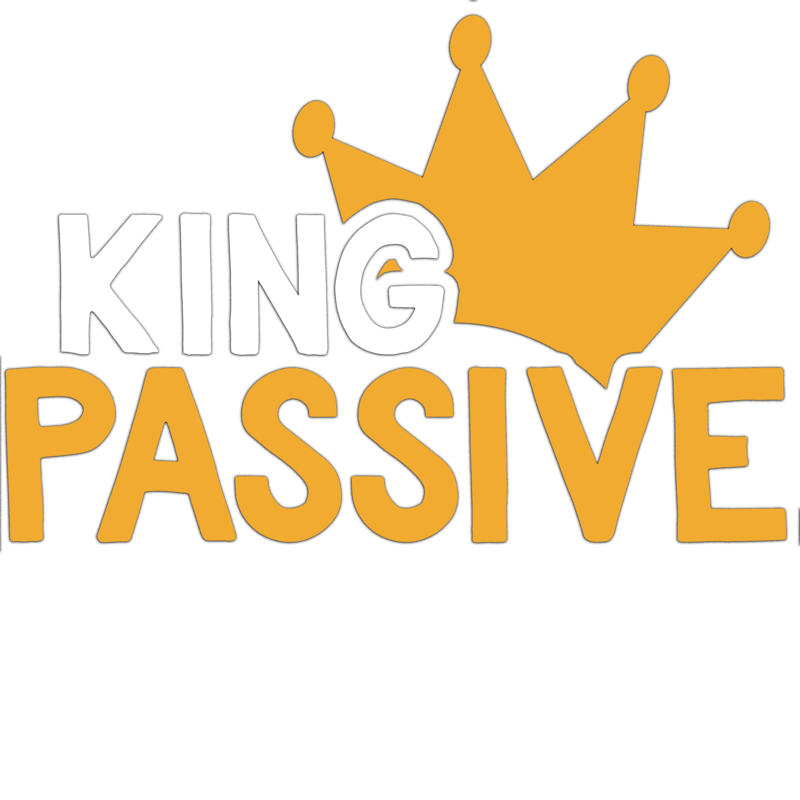 They actually raised $30 million for their ICO pre-sale, so they have a decent amount of capital to fund their project. 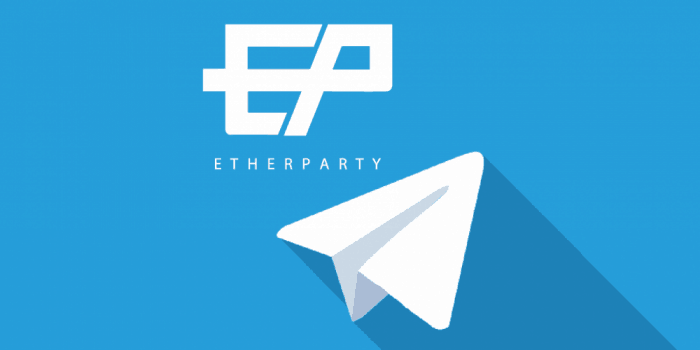 Their CEO, Kevin Hobbs, announced that Etherparty’s total supply will be 1,000,000,000, whilst 40% of their token supply was traded during their pre-sale. During the Etherparty ICO, their security was breached. When an ICO pre-sale is launched, users usually purchase ICO tokens with Ethereum. This Ethereum is sent from the user’s wallet to the company’s wallet - and in exchange they receive ICO tokens. However, during Fuel’s ICO, hackers hijacked the Etherparty’s wallet address so that they received the funds instead. The security breach was resolved within 15 minutes, as their website was taken down. It’s not the first Ethereum ICO to be hacked but that doesn’t make it any better. However, every victim of the attack was compensated and swift measures were taken to stop the hackers - including a press release and taking the website down. That’s a good sign of their overall integrity. It’s undeniable, Etherparty has plenty of competition. And when it comes to future price predictions, Fuel’s success depends on what it’s competitors do. It’s a race to the top. The problem is that there will be loads of options when it comes to SaaS platforms for smart contracts. Whilst Fuel’s platform is already in beta, it’s a small, competitive space that’s difficult to predict. So let’s look at Fuel vs other coins on the market. Their two main competitors are BlockCat and Agrello. Whilst BlockCat seems to be more in the early stages of development, it’s still touted as a major competitor of Fuel. Agrello helps it’s users create smart contracts too but there’s a heavier focus on legally binding smart contracts. So what’s the difference between Etherparty and DLT? So is Etherparty actually worth investing in? Well, let’s analyse how it’s future price will be positively and negatively affected. They raised over $30 million from the Etherparty ICO. That’s a substantial amount of capital to get the project up and running. Their founders, the Vanbex team, have over 4 years experience. That doesn’t sound like a lot of but for the cryptocurrency industry, it’s about as experienced as you’ll find. There have been attempted cyber security hacks on the Etherparty blockchain already. Despite being brief, that raises a serious red flag for me. You don’t have a lot of choice when it comes to trading Etherparty on an exchange - so far it’s fairly limited. This reduces mainstream adoption and limits your trading options. They’re planning to achieve mass global adoption, by creating more simplicity. In their whitepaper, they’ve actually compared this business model to the success of email. For example, most people don’t have the technical know-how to develop their own email technology - yet almost everyone in the world understands how to send an email. And that’s mainly thanks to the usability of companies like Gmail, Yahoo and Hotmail. The plan to make Fuel cryptocurrency successful is similar - it’s a case of simplicity over everything. The easier their platform is to use, the more it will be adopted on a mainstream level. Binance is the main exchange listing Etherparty. MyEthereum wallet is another option. Note: If you’re wondering how to buy Etherparty, check out my guide to trading altcoins on Binance. Like always, don’t leave your Fuel cryptocurrency on an exchange. It’s a risk you don’t need to take. As an ERC20 token from the Ethereum blockchain, Fuel can be stored securely offline with a hardware wallet. To understand the projected growth of Fuel cryptocurrency, you need to look at their use case. They’re a SaaS platform designed to make developing smart contracts easy. So the more that industry grows, the more potential Etherparty has. Clearly, this industry is changing the world. If Fuel cryptocurrency can gain brand loyalty and a large user base before their competitors, there’s a lot of potential for the price to grow. Because the total supply of Etherparty is so high (1,000,000,000), it’s value per token is very low. You can stay updated with Fuel cryptocurrency's live prices on Coin Market Cap. So how high could Etherparty climb to? I’d recommend checking out my pros and cons overview above. The key here is that you should only ever invest in the coins you believe in. If you don’t see the future potential of Etherparty, don’t invest in it. Personally, I like their team, their experience, technology and I can see an obvious use case. But will I be investing in them? I don’t feel that strongly about the space they’re in, so Fuel doesn’t appeal to me as an investment option. But does a drag and drop smart contract platform have a lot of potential? If you’re going to invest in Fuel, I’d say it’s more of a long-term HODL than a quick win. With $30 million dollars raised during their ICO, their coin has long-term potential. However, if you look at their price history, it’s obviously been pumped and dumped in the past. Having said that, they’re were pumped back in November - when the cryptocurrency market was flooded with new investors. From what I’ve seen so far, Etherparty have a strong team, a product that’s already working and their marketing campaign raised a lot of hype around the project. I’d say they’re here to stay long-term. The Etherparty coin symbol is Fuel.